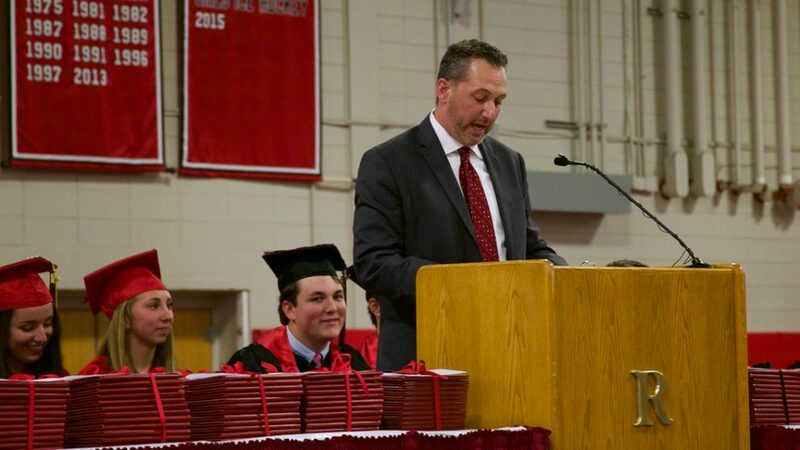 Reading Memorial High School Principal Adam Bakr announced to the school community on Thursday, December 21 that he intends to resign his position at the end of the current school year. Bakr, who came to RMHS in 2014, commended the progress the school has made during his tenure, especially in the areas of student-focused learning, data-driven decision making, and social and emotional learning. Bakr’s announcement cited no reason for his resignation and made no announcement about what he will be doing next. A commitment to personalizing instruction and supporting students—both academically and social-emotionally, so that every student feels that they are cared about, and that they can achieve success at RMHS and beyond. While there is still much work ahead of us, I am very confident that RMHS is in a great position to become even better in the years to come. At this point though, I feel that the time is right for me, personally, to begin pursuing new professional challenges and opportunities at the end of this school year. I am so deeply appreciative of the opportunity and the privilege to have served the RMHS Community over these past four years, and I look forward to hearing about all the amazing successes you will undoubtedly accomplish in the future! All the best, RMHS….and Happy Holidays!